Francois Hollande, France's Socialist President, Pays Nearly $11,000 A Month For Haircuts : The Two-Way French President Francois Hollande's coif hasn't really been a subject of conversation, until now. He's facing a scandal after it emerged that he pays a hairdresser nearly $11,000 every month. 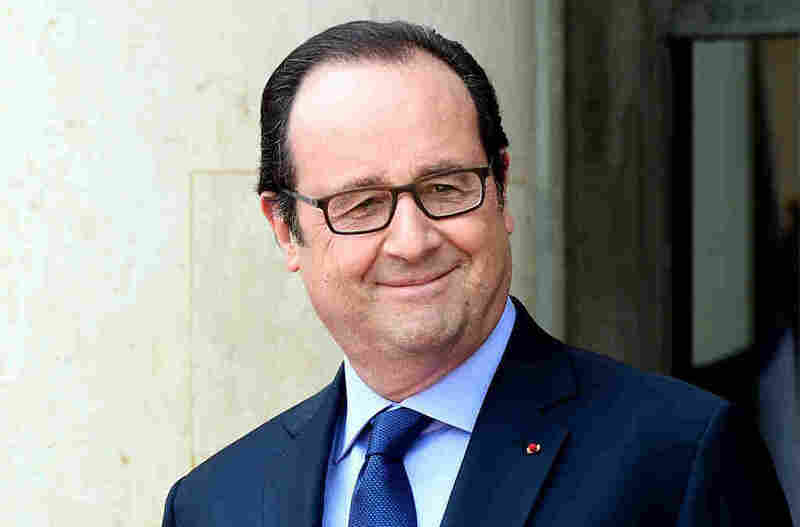 French President Francois Hollande's coif — dark, thinning on top — hasn't really been a subject of conversation, until now. He's facing a scandal after it emerged that he pays a hairdresser nearly $11,000 (9,895 euros) every month. The scandal, which has been dubbed #CoiffeurGate, was first reported by French satirical and investigative newspaper Le Canard Enchaine. French government spokesman Stephane Le Foll later confirmed the story and "tried to defend his boss," according to The Associated Press. "I can understand the questions, I can understand that there are judgements," said Le Foll, as AFP reported. "Everyone has their hair done, don't they?" The amount Hollande pays his personal hairdresser is roughly the same as a government minister's salary, according to The New York Times. The job comes with significant responsibilities: the hairdresser is "committed to secrecy and needs to be available 24/7," France 24 reported. "He missed the birth of his children," the hairdresser's lawyer Sarah Levy told Le Canard Enchaine, according to France 24. He's been identified only as Olivier B. The scandal has "the French public bristling over such extravagant spending by a Socialist president," as AFP reported. He faces "persistently low" approval ratings, as the Times reported, and "has been forced to agree to a primary among left-leaning parties, including his own Socialists, to settle on a candidate for president next year — a first for a sitting president." Hollande's former partner Valérie Trierweiler defended him in a post on Twitter. "Let's be fair: F. Hollande was not aware of the hairdresser's salary," she said. "I can attest to his anger when he learned about it later." Et soyons juste: F. Hollande n'était pas au courant du salaire du coiffeur. Je peux témoigner de sa colère lorsqu'il l'a su plus tard. "In 1993, two of Los Angeles International Airport's runways were shut for nearly an hour so that President Bill Clinton's Beverly Hills hairstylist could come aboard Air Force One to give him a haircut. In 2007, John Edwards, a former senator, had to reimburse his presidential campaign $800 to cover the cost of two haircuts. The Republican vice-presidential nominee Sarah Palin spent tens of thousands of dollars on hair and makeup in the homestretch of her 2008 campaign."